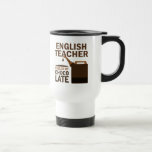 Teacher mugs are a popular choice for giving a teacher a holiday gift. 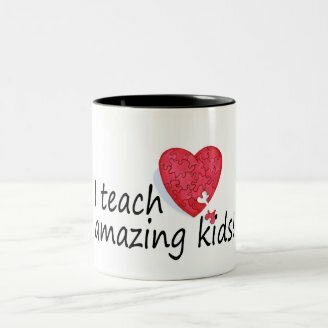 Find some teacher mugs from Zazzle for your child's teacher. When I was teaching school, kids loved to give a gift at Christmas time, and one of my favorites was a teacher mug that was a bit out of the ordinary. 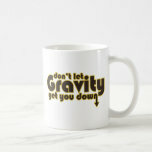 Zazzle mugs are designed by individuals who have a different outlook than the corporate variety of mug designers. 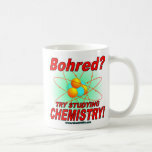 Come see what I have found for teacher mugs on Zazzle. 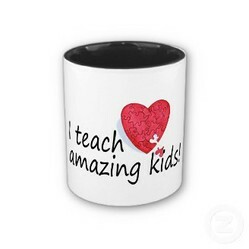 Maybe you'll find a teacher mug here that will be perfect for someone you know. 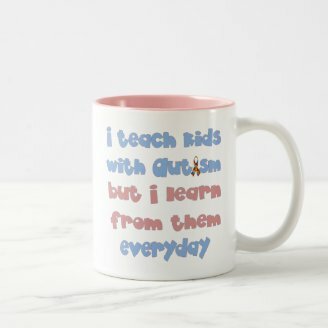 These teacher mug designs can be purchased in a variety of styles. You can choose whether you want a regular mug, a mug with a colored handle, a mug with a color inside, a travel mug, or a stein. 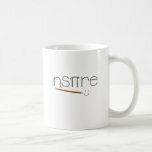 Some of these mugs allow you to personalize them with the teacher's name. One thing is sure: these mugs from Zazzle are quality made. I have purchased several and have never been disappointed. My favorite is the 15 ounce mug with a colored handle, but you can fiddle with the order page and figure out which style is best for you. You just need to click the "customize it" tab and the "choose your style" tab to see which style you like best. Special educators are just that -- special. Their job is more of a challenge than many other teacher jobs because they can't take anything for granted when approaching a child's learning. Certainly every child is special and needs to be connected with in an individualized way, but when a child faces a challenge such as autism, dyslexia, or some other learning challenge, a classroom teacher who can understand the difficulties and find ways for the child to learn in spite of the extra effort that child must make is surely a teacher whom I admire. These mugs are for these special teachers who more than deserve our kudos. 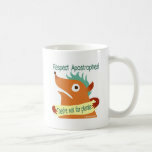 Give Your Teacher a Mug Out of the Ordinary! Teachers get lots of mugs with apples and "best teacher" thoughts. These usual mugs are cute, and your teacher may really appreciate it just because it comes from you, but a mug with a little teacher humor will really rise above the rest. 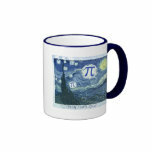 What math teacher won't laugh at a mug that uses pi in an amusing way? 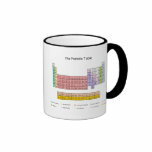 And what teacher of chemistry won't think a mug with the periodic table or some scientific humor isn't a fun mug from which to drink? An English teacher will appreciate a pun as well as the next guy or gal, especially if it includes a grammar reference. Who is the teacher for whom you're considering buying a mug? 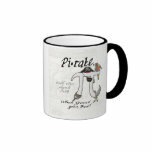 I appreciate your visit to this page on Zazzle teacher mugs. I hope it has been fun browsing these teacher appreciation mugs and that you have had a few giggles on the way. Teachers deserve our respect and thanks. I hope you will let the teachers in your life know they are special people and that the rest of us think they are doing a great job. Please leave me a comment below. I appreciate your feedback. @MBC A teacher's job is harder than it looks from the outside. They deserve our thanks. Yes, everyone should remember their teacher's with gifts, especially at Christmas or year end as a thank you for all they do. It gets better at university level ;-) But little kids and their parents have a hard time. Another practice here is for teachers to invite their own students for private tutoring. There are ways to accept that if you think that maybe most students, too, aren't willing to learn more than the basics. Given how little motivated teachers are here in Romania, I'm surprised there are good teachers at all! That doesn't seem right. Gifts are not supposed to supplement their income but are meant as tokens of appreciation. I love teacher mugs. Unfortunately here in Romania parents have to buy teachers expensive gifts -- jewelry for instance. When I was growing up it was flowers and "small attentions." Times have changed. It's true that teachers get paid very little over here, but still. @ologsinquito I'm glad you like them. These are really cute, especially with school starting. I'll bet you felt appreciated whenever you looked at it -- like getting a bouquet a day. Teachers deserve mugs, hugs, and more. I used to be a literacy tutor for adults, and one of my students gave me a flower mug. I agree, Dave. A mug may be a small gesture, but it's nice to be remembered by those you work for. Looking for a teacher gift to show your child's teacher you appreciate all her or his hard work? Here are some ideas that will help.